Will solar panels generate enough electricity to power my entire home or business? Yes. Solar panels can generate enough electricity to power your entire home. There are design and installation variables that will need to be taken into consideration, so contact All Energy Solar and one of our customer service representatives can help you determine if your home or business is situated for solar power. Solar power has been in use for over 50 years and during that time has become more efficient and affordable. Basically, sunlight hits the panels, generates an electrical current which is fed into your home or business through your electrical panel. This is a simple explanation and only covers the basics. To learn more about how solar energy works contact All Energy Solar for a free analysis or join us at one of our FREE Solar Seminars. Can I install the solar panels myself? 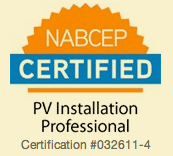 There is nothing stopping you from installing your solar panels yourself, but many of the incentives that help reduce the cost of solar require a certified installer in order to qualify. You are also dealing with dangerous Direct Current electricity that can cause major injury and even death. Working with an experienced company like All Energy Solar will ensure your system is designed & installed correctly, you receive all available incentives, and your paperwork and inspections are taken care of. We provide a complete turnkey solution. Panels: Solar panels, or “modules”, as they are often called, will be installed on your roof or the ground, depending on your location and preference. Inverter: As your solar panels generate DC electricity from the sun that energy will flow into your inverter where it will be conditioned into AC electricity. Monitor: Every solar system installed through All Energy Solar comes standard with a monitoring device. This will allow you to track your solar systems electrical production, ensuring a properly installed system that is running efficiently and as projected. Balance of System Components (BOS): With every solar electric system there will be mounting hardware and additional electrical equipment necessary to install your system. Solar modules carry a standard 25-30 year production warranty and a solar electric system that is designed, installed, and maintained properly can last more than 40 years. Will my solar system still generate electricity when it’s cloudy? It’s a common misconception that solar only works when it is sunny. The truth is, your system will still generate electricity on cloudy days. The amount of energy generated varies depending on the amount of sunlight the panels receive. Your All Energy Expert will show you a detailed analysis of your sites energy potential, taking into consideration many aspects, including weather conditions. The current national average of homes powered by 1 MW of solar photovoltaics is 164.